Microsoft introduced the concept of Fine-grained Password Policies in Active Directory back in Windows Server 2008. From that day on, Active Directory admins could granularly roll out Password and Account Lockout Policies to groups and individual users. It was, however, such a painful experience, that many books suggested to use the free SpecOps Password Policy Basic tool to set fine-grained password policies, instead of using the built-in PowerShell commands. Now, in Windows Server 2012, the Active Directory team has finally created a Graphical User Interface (GUI) for Fine-grained Password Policies. 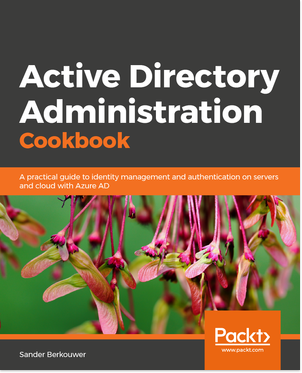 Just as the Active Directory PowerShell History Viewer and the Active Directory Recycle Bin, it’s part of the Active Directory Administrative Center. There are no changes under the hood for Fine-grained Password Policies. These policies are still only applicable to user objects and groups, not OUs. If you want to, you can create a Fine-grained Password Policy without a link within the Active Directory Administrative Center. For this purpose, open the Active Directory Administrative Console, using an account with sufficient permissions to create Fine-grained Password Policies. Now, you can use the New and then Password Settings commands from the task pane on the right, or simply right-click within the middle pane and make the same selections from the context menu to create a Fine-grained Password Policy. Precedence allows you to give Fine-grained Password Policies priority over other Fine-grained Password Policies. Fine-grained Password Policies applied to users directly always take precedence over Fine-grained Password Policies applied to groups the user is a member of. If you work with multiple Fine-grained Password Policies, make sure the most important ones have value 1. In the Directly Applies To section you can specify groups and/or users that will be subject to this Fine-grained Password Policy. Use the Check Names functionality to make picking easier and click OK when done. This command will open the applied Fine-grained Password Policy for the user object. With the availability of managing Fine-grained Password Policies from the Graphical User Interface (GUI) of the Active Directory Administrative Center (ADAC), it has become much easier to manage password and lockout settings for (groups of) users.